A world that used to be dumb and unconnected now gets connected, and that information gets shared. I find this amazing – not only the quote, but more generally Richard M. Satava’s presentation of this speculative (and perhaps emerging) technology – because it correlates intelligence with connectivity and communication. A tomato ‘telling’ me how ripe it is and a desk re-arranging itself as I enter the room: these object can be smart it seems because they exchange information – of course the tomato has been telling me how ripe it is from the beggining of time – so why would I need smart dust to mediate between the tomato and me? Why do I need a new range of institutions and control systems setting new thresholds of quality and ripeness and who knows what other standards between me (the dumper consumer) and the tomato. Smartdust according to the wikipedia entry is a hypothetical system of microelectromechanical systems (MEMs) like sensors, distributed on an area and wirelessly networked – a concept introduced, developed, and funded by DARPA due to the potential military applications of the technology (MEMs and nanomicroelectronic systems exist and are not at all speculative). I find it interesting also how in this interview robots are framed as ‘informational systems’ exchanging information with the ‘information world’ – and how there is an attempted shift in understanding robots from machines or extensions of bodies to networked systems. 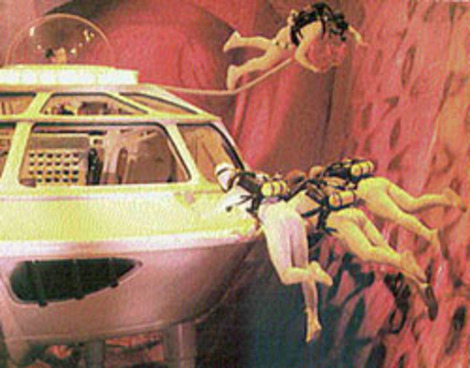 Speaking of surgery, robots and bodies, I’m also looking at earlier speculative fiction & nanotechnology at the moment – I’m reading Isaac Asimov’s Fantastic Voyage at the moment where a group of people enter the body of another human, in an effort to cure him. (Even the trailer for the 1966 film is intersesting in terms of gender politics). As my guide to cultural fantasy and public ideas about nanotechnology, I follow the now discontinued but nevertheless excellent blog Howard Lovy’s NanoBot and consult the edited colection Science Fic tion and Philosophy: From Time Travel to Superintelligence. 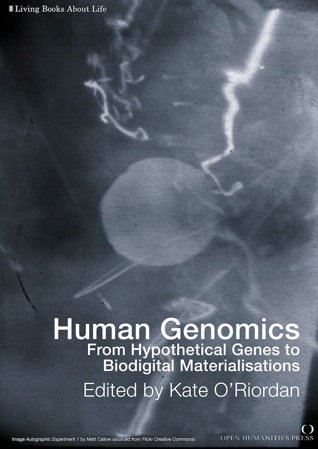 I’m also reading this Living book about Human Genomics: From Hypothetical Genes to Biodigital Materialisations, which gives an overview of human genomics as a scientific field and a consumer interface. Of special interest to me is how central consumers are in genomics and the complex way media environments are becoming biodigital. The question to ask is I guess how these biodigital materialisations and other emerging technologies are today shifting the concept of informational to networked. This entry was posted in emerging technologies, speculative fiction and tagged asimov. fantastic journey, biointelligence, connectivity, digital networks, emerging technologies, Human Genomics: From Hypothetical Genes to Biodigital Materialisations, living books, smartdust on November 11, 2011 by Aristea Fotopoulou.